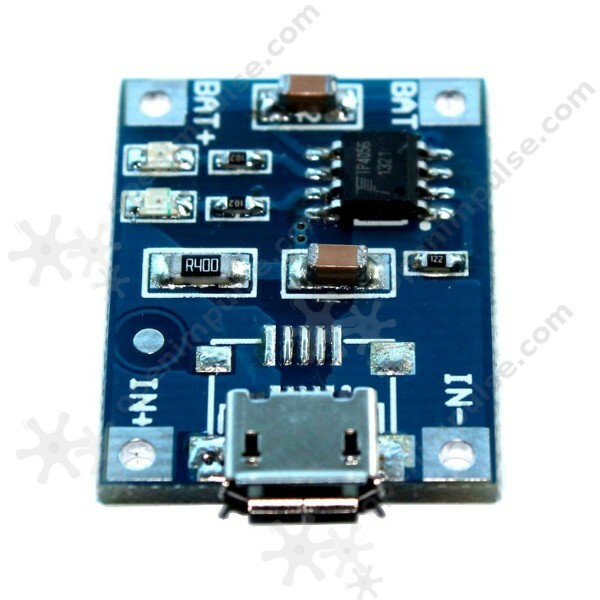 This is a micro USB 1A lithium battery charger based on TP4056 integrated circuit. 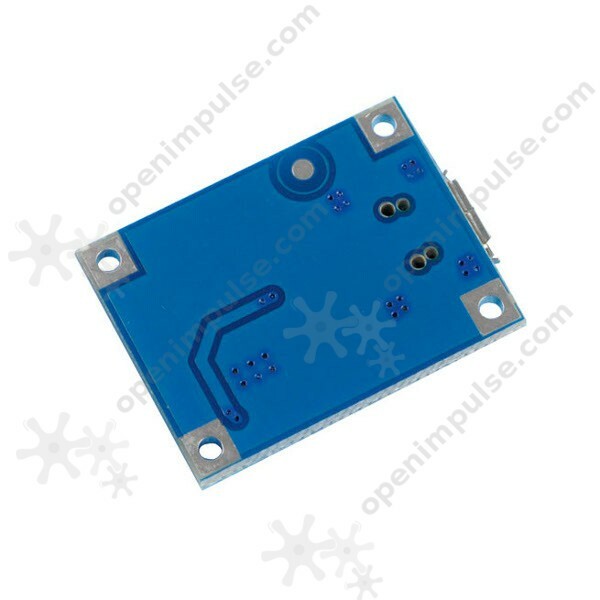 It is capable of supplying 1A charging current at 4.2 V to a single-cell lithium Ion battery. 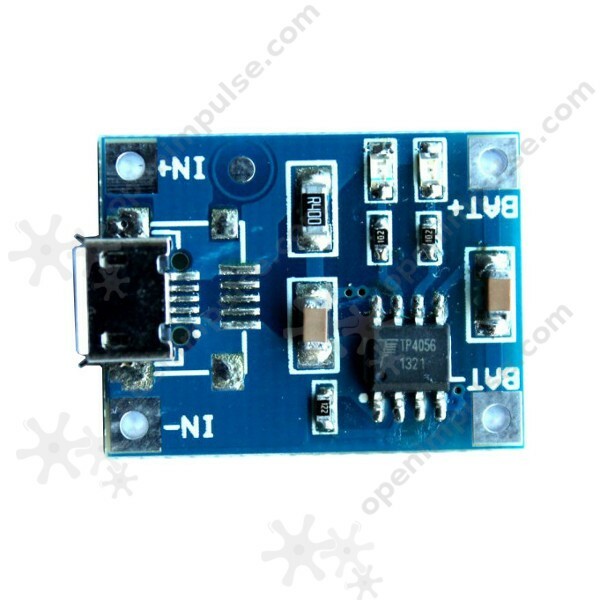 This is a miniature battery charger module that uses TP4056 integrated circuit with 1 A charging current. 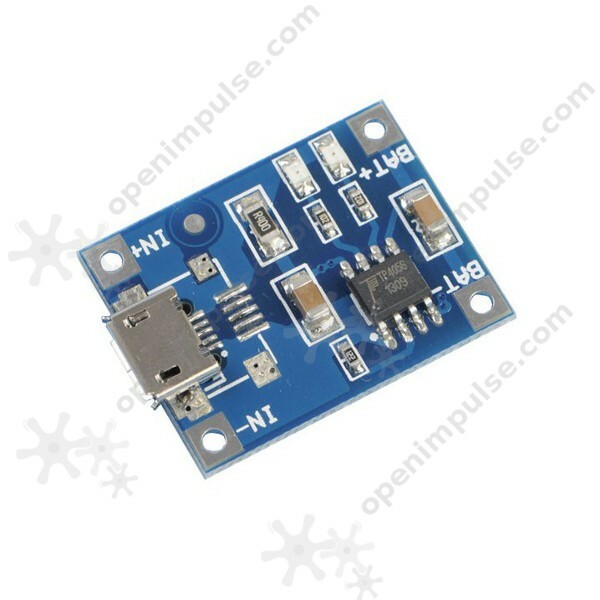 It uses a micro USB for connecting the board to computer and works with linear charging.